What do I have in common with Dan Goldman? But I have more in common with him today than I did yesterday. You’re… doing a comic book!…? 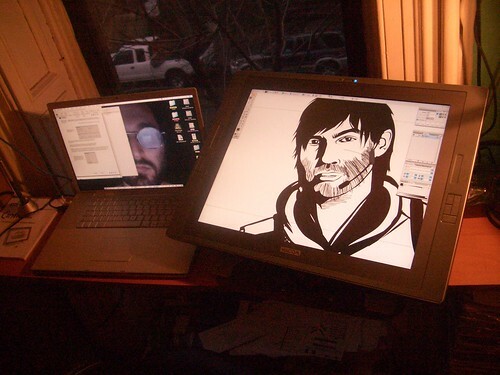 I have a funny story about me accompanying Dan at SDCC ’06 to watch him try to finagle a sponsorship deal from WACOM. Did you get a new tablet? you will all find out in great detail tomorrow! chris– I totally want to hear that story.